For self-administration, adherence with drug therapy and disease management protocols has become a primary concern within the healthcare and pharmaceutical industries. For chronic conditions adherence has a direct effect on the patient’s quality-of-life. Connected devices - drug delivery devices that are designed to address the patient adherence issue by reminding and recording data about patient dosing activity and making it available to HCPs - are gaining interest among industry and managed care participants. Efforts to enhance adherence have a non-negligible effect on drug formulations and delivery decisions, and are a significant factor in the prescribing decisions of most physicians. The connected device ecosystem includes OEM device suppliers, drug developers, human factors consultants and aftermarket third-party devices. - What drug delivery devices incorporate connectivity technology, how do they work and what new capabilities do they offer to patients and their HCPs? - What benefits do connected drug delivery devices provide to patients in the area of improved adherence? Patient safety and reported outcomes? HCP/patient communication? - What therapeutic areas are the current focus of connected devices? - Who are the companies behind the push to connected delivery devices? What are their development activities and corporate alliances and affiliations? - What is the importance of pharma-device alliances and design partnerships on connected drug delivery device commercialization and market access? 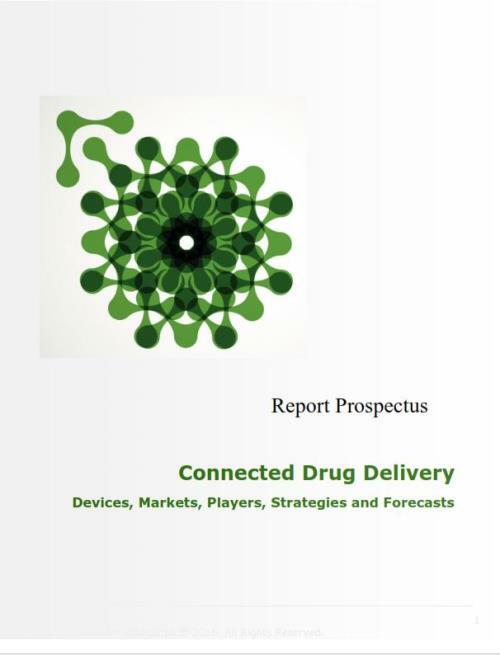 - What does the current market for connected drug delivery devices look like? What will it look like in 2020? - What are the key market drivers for the growth of connected drug delivery devices?